Many find Moscow as over the top compared to recent years in the past, and in its own way competing with the likes of London, Paris and New York. It seems it has been waiting a lifetime to show off its beautiful architecture, and its wide spacious avenues. The impatient, quick movements of the anxious people only make it all seem unnatural, without the understood confidence the other major centers have evolved into. Behind the scenes, a bit off the beaten track, you will find still a wonderful people, used to having things given to them then taken away, and this time their new wealth is determinately here to stay (for the few) and they want to show it off. The hot spots go twenty four hours a day, and rush hour traffic is anything but in a rush. Many who see the real Moscow feels it is like a big village that is attched to the countryside, all centered in one main place, and everything seems small and personal if you take a moment out of the rat race to stop and smell the flowers. 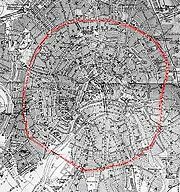 The center of Moscow houses the Kremlin, with two concentric ring boulevards around it, the green Boulevard Ring (Bulvarnoye Koltso) divided into ten areas, and further out, the Garden Ring (Sadovoe Koltso) that is anything but garden-like. Just about everything famous and really worth seeing is within the Boulevard Ring. Lots of ornate, almost over-powering churches still stand within the central core of Moscow, despite being on the brink of destruction for centuries. Listening to the church bells chime over the city center on a subdued Sunday morning shows peaceful side of Moscovites. You can walk into most of these churches during the daytime, sit down, and feel the spacious majesty. Most of the best places in Moscow can be reached by foot, however, if your time is limited, you may want to take taxis and the metro. as a town, is on a manuscript of 1147. Then in 1156, Prince Yury Dolgoruky put up timber walls around the tiny village of Moscow including a moat. 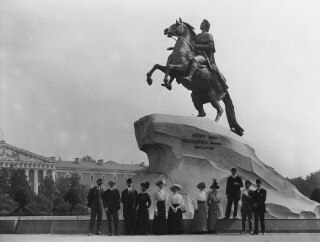 He is generally regarded as Moscow's founder, and his statue is still one of the most revered and honoured in the city. 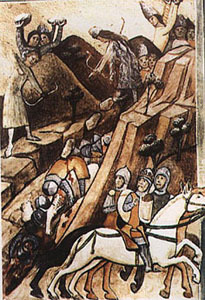 In 1237-38 the Tatar-Mongolian invasion resulted in the nearly complete destruction of Moscow. However, it recovered quite rapidly, and soon was capital of the independent region. From 1300 to about 1450, Moscow became a fairly large city with a large trading population. 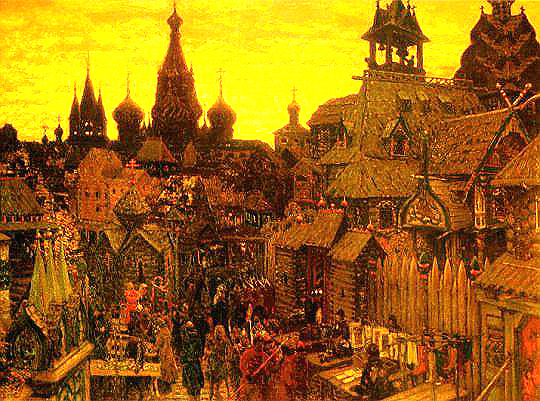 In the late 1400's, during the reign of Ivan III, Moscow became Russia's capital. As a benchmark, the Kremlin was built during this epoch. It was fortified by a number of buildings constructed for defensive purposes to the west, south and east. Advances in the sciences and arts were encouraged by equal advancements in trade and commerce. Wonderful manuscripts from people like Domostroy and Stoglav, amazing architectural wonders like the Kremlin and Pokrovsky Church, and the first written book by Ivan Feodorov's, Apostol, were presented to the world. In the 17th century, Moscow fell to the Lithunian Army of Poland. But it wasn't long and a people militia was organized ensuring a full liberation in 1612. During Peter 1st's reign, the arts and sciences in Moscow reached new levels of brilliance. 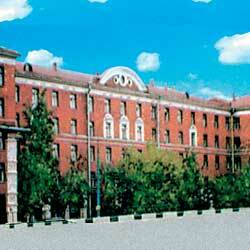 Moscow University opened in 1755, Russia's first printed newspaper became available in 1703. 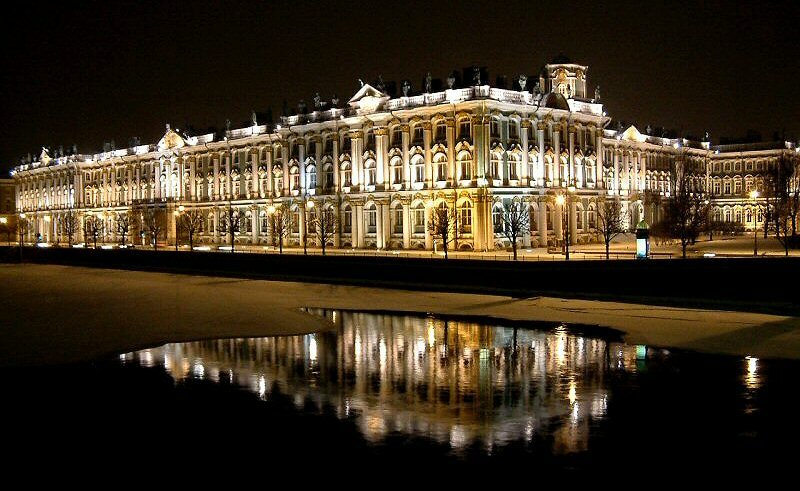 Architectural marvels peaked in the late 1700s because of such famous Russian architects as V.I.Bazhenov who designed Pashkov's House, and M.F.Kazakov who designed the Senat Building. In the 1900s Moscow was an important political, governmental and economic/trade center. 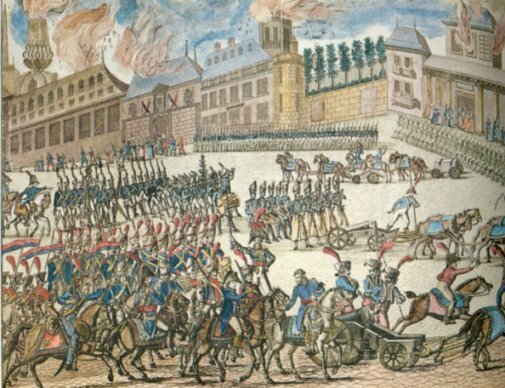 Napoleon decided to attack Moscow in 1812, and was quite successful except for the fact that the retreating Moscovites burnt much of the place as they exited, leaving little for the French to claim. Hunger drove the French back home, and the Moscow army quickly moved back in, heralding the next architectural era rebuilding the city again, contracting famous architects like Grigoriev and Beauve. 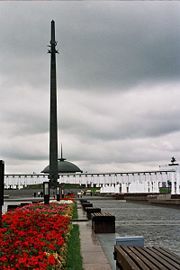 Present day Moscow was built during this reclamation phase, moving from an aristocratic appearance to one of bourgeois. In the late 1800s, Moscow became the second biggest industrial center in Russia behind St.Petersburg because of the growth of communications and the railway. In 1852, they put in the first telegraph line connecting the two major urban centers, and in 1872, horse drawn railways were used in Moscow. Many of Moscow's streets were illuminated by gas lanterns in 1867 and in 1883, they had electric lights. Telephone lines arrived in 1897. The nineteenth century became the golden age for Moscows creative population spurning such geniuses as Tolstoi, Pushkin and Chekhov. 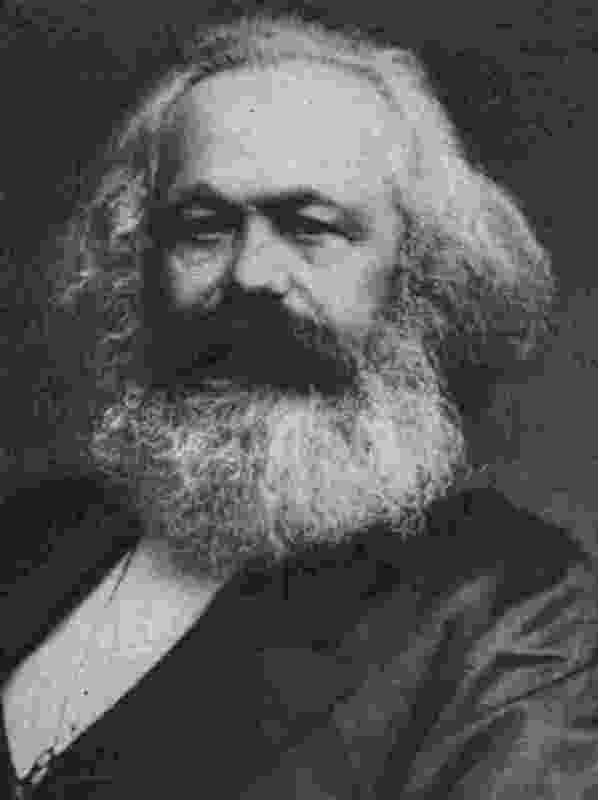 Karl Marx's communist doctrine encouraged many secretive meetings among the intelligencia, with a rebellions and strikes culminating in October 1917 when Vladimir Lenin took power, moving the Russian capital back to Moscow from St. Petersburg. 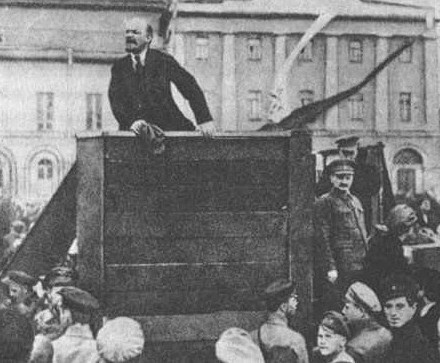 In 1922, the Soviet Union was announced, taking in half of the continent of Asia. Starting around this time, the entire social structure of the Soviet Union changed, as poor farmers migrated into the big cities to be unskilled labourers in he factories. The classic Russian architecture went by the wayside, as huge block shaped apartment complexes were made to accommodate the burgeoning population. Moscow sprawled outwards in all directions. Churches were either destroyed or turned into Palaces of Culture, meaning utilitarian purposes for the government to monopolize everything, storage, education centers, and comfortable government worker facilities. In 1989, the 'Cold War' was over with the West, and Russia opened to the world. Though the positive changes have been slow to come, starting with a failed economy, Russians today, and especially Moscovites are starting to show optimism towards their future. Moscow is nearly a thousand square kilometers and lies 55 degrees north latitude. 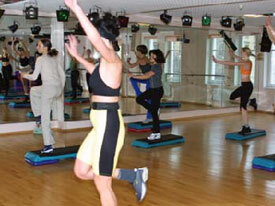 The population is nearly ten million if you include Zelenograd, also under the administration of Moscow. 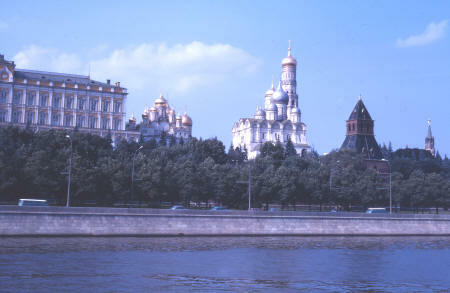 Originally Moscow was founded at the hilly confluence of the Yauza and Moskva Rivers. Being similar to Canada's north, the capital is encircled by both deciduous and coniferous forests, though those are being removed to not stand in the way of progress, housing developments, industry, transportation, etc. Because it is at such an extreme latitude, dayslight can be as short as seven hours in December or as long as seventeen and a half hours in June! 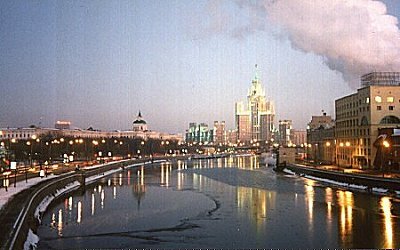 The main bodies of water in Moscow is the Volga canals and reservoirs, used for recreation, joing the Moskva River which snakes its way for eighty kilometers through the capital, and eventually joins the Oka River, rejoining the Volga and eventually into the Caspian Sea. the economy of Moscow is very different than generally all of Russia. The consumer market continues to grow, as it draws in millions of migrant workers from eslewhere in the formwer Soviet Union. They offer all sorts of financial services, lots of consumer goods, with a growing middle-class community, and many wealthy expats returning who had once escaped the Soviet Union. This new spending power has catapulted Moscow into a world-class city with world-class infrastructure. Receiving a disproportionate share from taxes because of a loop hole that taxes are paid by head offices in Moscow, often the large natural resources corporations who's head office is in Moscow. Image:Show of wealth.jpg|right|thumb|Show of wealth]] Heavy traffic and the universal use of cell phones are glimmers that the money is trickling down to the lower classes. The ruuble is getting stronger, and oil prices are at an all time high, boosting things even further. Fortunately much of the Russia's foreign debt has been paid back, and they are saving petrodollars in case the price of oil someday falls. Many think it should have done a lot more to diversify the wealth. Corruption and the shadow and bartering economy are huge while tax payments are intermittent at best, regardless of the flat 13% income tax. On the highway in from the airport you will notice the huge shabby apartment blocks on both sides and those inside live under impoverished conditions. Moscow's prices are about double elsewhere in Russia, and rent and food costs keep the poor and old where they are. 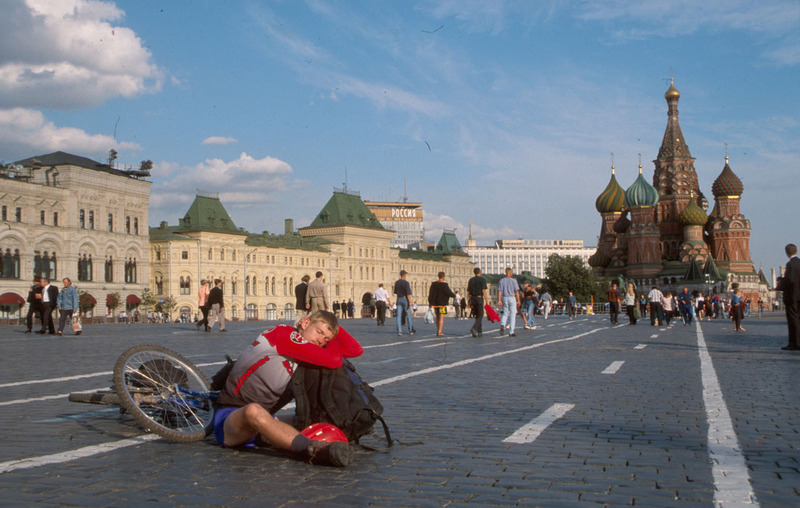 Moscow is located in the middle of the continent, so the temperature is continental, so without nearby bodies of water to moderate the temperatures, it means hot weather in the summer and cold weather in the winter. The hottest months are July and August, when the temperatures can reach 30 and even 35C. They are followed by mild September, which turns into an Indian Summer, the last warm days of the year usually in the end of the month. October sees the Autumn starting and the temperatures can go down to zero by the end of the month. The first snow usually appears in the middle of November, but the most snowy months are January and February. February is also the coldest month, when the temperatures often go down to average -15C. celcius. March is when the Spring comes, and the temperatures rise back to zero and it becomes quite (seemingly) warm by the end of April only, 10-15C. The snow leaves some time in the end of March. The end of April sees an abrupt change to warm and sunny weather, and in the beginning of May it can already be +20C. May is actually the most comfortable month, as there are not many rains and the temperature stays around 20C. According to the Russian law each person traveling to Russia for more than 3 months should present HIV certificate to the Russian Consulate/Embassy where he/she is obtaining a visa to Russia. This rule is legally binding and provided by the Decree of the Russian Federation # 1158 from November 25, 1995. The structure and contents of the mentioned certificate are defined by the same Decree. The main requirement is that the certificate should be obtained no longer than 3 months before presenting it to the Russian Consulate. All foreigners need to fill in special migration cards handed to them as they cross into Russia. Entry into the country and actual length of the permitted stay now largely depend on information given in the card and during the interview with the visa officials. It consists of two sections and the top portion is immediately collected by the passport/visa control officials, while the bottom part is collected when the person leaves the country to return home. Staple it into your passport. It includes your terms of stay in Russia. Fill in the name of the inviting company and the address of the inviting company. Everyone, who has not put a registration mark due to the address of prospective stay of residence within three days, will be considered illegal. Tourist visas are issued according to a specific travel agency’ visa support. If information they provide does not match the official information on your visa, you risk being deported immediately. It is highly advisable to have a copy of your visa ‘invitation’ a.k.a. voucher in hand and to know the name of their ‘inviting organization’. If you provide information to the Russian border patrol officials that this is contrary to your official invitation and visa, you risk not being allowed into the country. Business visas need to make sure to name their ‘inviting organization’ and its address. If you travel on business visa, it is advisable to not mention private matters or employment with another company in Russia as a purpose of your visit, it just opens up a can of worms! You will need to inform the Russian officials accordingly (choose the "kommercheskaya" purpose of visit) and be prepared to show copies of the official invitation. Those who provide information that is contrary to his or her official invitation, risk to be deported immediately. 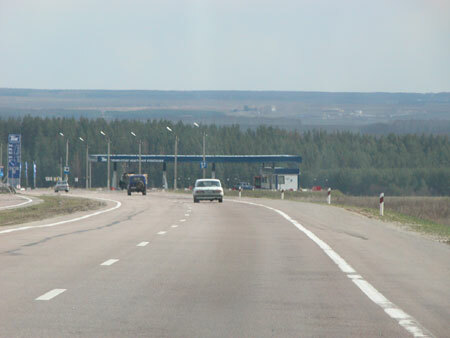 Foreign visitors are also asked how long they intend to spend in Russia and show proof of onward or return tickets. Their migration card will then be stamped with a specific departure date so even if the visa is good for a full 30 days, but the migration card was issued for only 25 days, you will will need to leave Russia within 25 days. 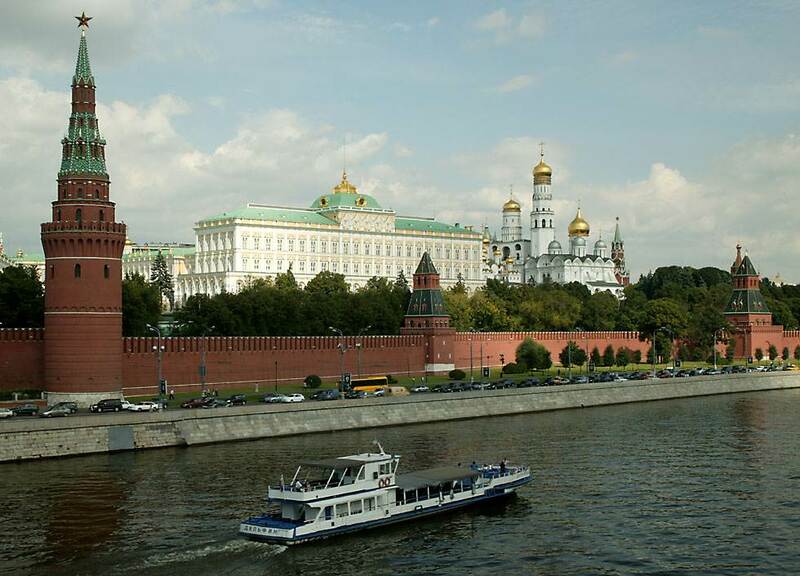 The main historical core of Moscow is the Kremlin, a fortress which is located in the core of the city. Tverskaya Street, which is the main avenue of the city, starts from the Kremlin and heads north to become Leningradskoye Shosse, which leads directly to St. Petersburg 750km north. Moscow has a radial structure, and the Garden Ring Road defines the center of the city. 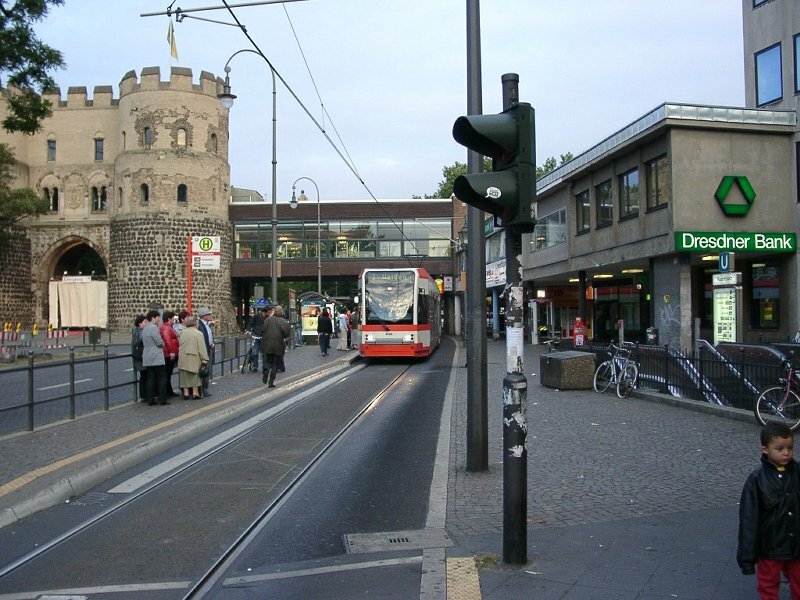 A smaller Boulevard Ring defines the city's downtown. To be able to find the right building on any street, it's useful to know that in Moscow, house numbering starts from the center. So standing at the center, the odd-number houses are located to the left, and the even-number houses to the right if you turn your back to the Kremlin. So, if you're looking for Tverskaya St., #2, for example, it will be located very close to the Kremlin (which is the most central place in Moscow), on your right-hand side. This is the best of Moscow as so much that you want to see is found within Boulevard Ring such as tRed Square, the Kremlin, Kitai-Gorod, the Bolshoi Theatre, the the fantastic Pushkin Fine Arts Museum and the Christ the Saviour Church are only a few. 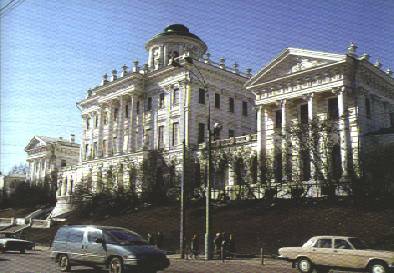 Between the Boulevard Ring and the Garden Ring (no more gardes and trees but a highway instead built during Stalinist times), now rather run down, homes of famous Russians still, remain as visitor attractions. Huge residential districts are found north by the Garden Ring, almost dizfying when you see the size of Moscow. There are a few museums and the lile to visit. The Tretiakov Gallery, Moscow's greatest art gallery specializing strictly in Russian art is to the south of the central city along with Gorkii Park and the controversial yet famous Peter the Great monument. The area around the northern part has a history closely linked to the merchant population who once lived there. National parks lay even further south. If you go into eastern Moscow, you probably won't be too impressed, infact you may become depressed, the ugly housing tenaments cover the once beautiful landscape surrounding what were once beautiful churches and palaces. 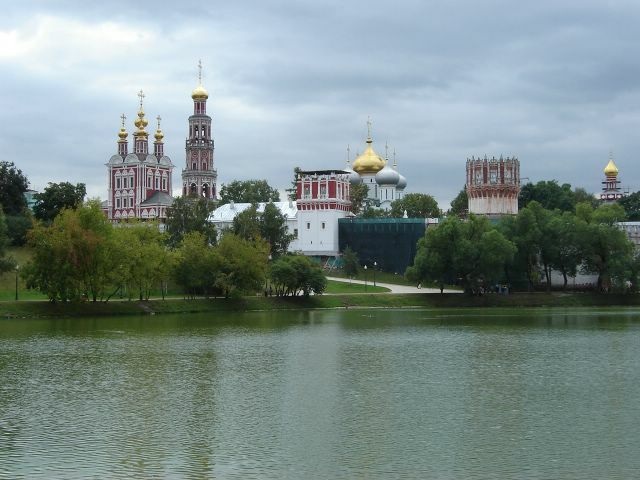 You can visit, and even enjoy the Andronikov Monastery, the Commune of Old Believers and the the interesting Market for Pets. Northeast of here is the childhood playground of famous Peter the Great. West is a mix bag of semi-interesting things, the gravesite of Krushchev, Victory Park and the Borodino Panorama Museum, the giant Luzhniki Stadium and the imposing main building of the Moscow State University. 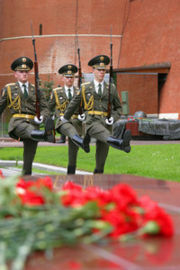 coming to Moscow simply to stand in the middle of Red Square and gape at the surroundings would not be a wasted trip. Entering from the north end past the State Historical Museum, you will see the instantly recognizable multi-coloured onion domes of St. Basil's Cathedral looming on the far side of the square. Running down the left of the square is the vast pale edifice that is the GUM department store and down the right are the towering walls of the Kremlin, beneath which sits Lenin's Mausoleum. Red Square is synonamous with Moscow, and famous worldwide. 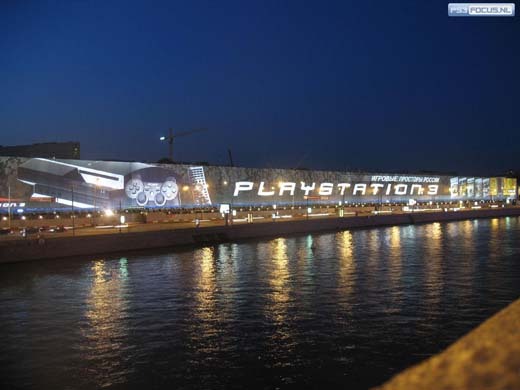 It is so huge, it makes one feel humble any time of the day or night, and one can just feel the history. It started as a smaller mud flat, filled with peasants and hawkers, and slowly grew in size, and is now made of grey bricks. The awesome spires and turrets of the majestic buildings around the outskirts of Red Square only enhance the incredible beauty of this place. The Kremlin itself is a powerful mix of church and state, and behind its imposing walls much as been decided to change the course of world history. Originally the walls were made of white stone, but that changed in the 1400s when it was rebuit red brick which still gives it its distinction today. 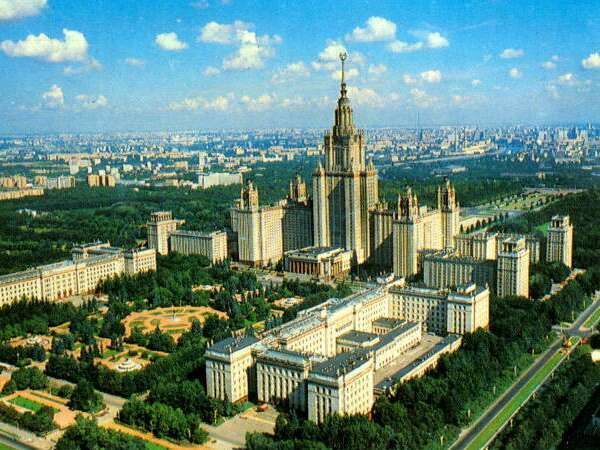 You will find several cathedrals inside (Archangel, Dormition, Twelve Apostles and Annunciation), three palaces, two museums, the President of Russia's residence. You enter through the southern side, costs less than a dollar for the grounds, and there are separate admission fees for individual attractions inside. In 1856, Pavel Tretiakov collected the most complete collection from contemporary painters in both St. Petersburg and Moscow founded this famous gallery. 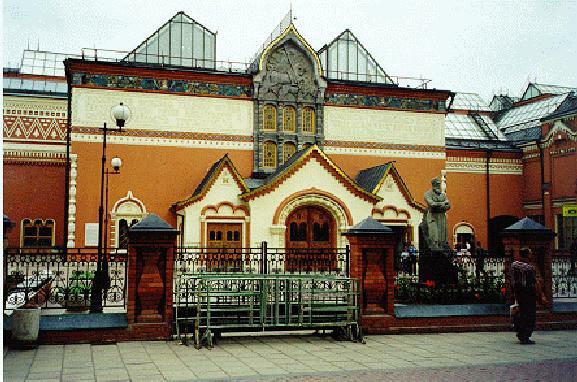 Meanwhile his brother Sergei spent years collecting famous works from the Dutch and French masters, and in 1872, they amalgamated their collections making this museum very popular. In 1892 they donated the museum to the Russian people, and works of other well-known Russian artists have also been added. 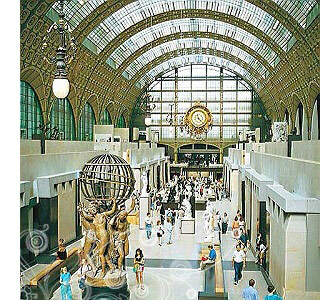 His brother Sergei collected the French and Dutch masters, and in 1872 they combined their collections and opened this extremely popular museum. Admission is quite reasonable. This is a controversial monument for two reasons. 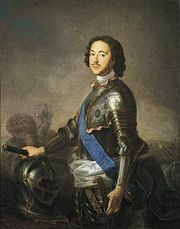 First, many Moscovites feel Peter the Great far preferred the location of the capital of Russia to be in the north where present St. Petersburg is located. secondly, and possible because of the first reason, many say it is an ugly statue of him, standing on the bow of a full-sail frigate holding up a golden scroll. Whatever you think, you probably won't forget it. Moscow almost succumbed to the Nazi war machine, and Russia as a whole suffered immeasurably during WWII, known to Russians as the 'Great Fatherland War'. It shows how much the 'Great Patriotic War' (2nd World War) is still in the minds of many of the older Moscovites, as Hitler nearly got his way. You will find lots of fountains, a church, an obelisk, and the Central War Museum. Along the Kremlin's west wall are the Alexandrovskii Gardens, which have been there since 1820. It takes uop about ten hectares, all nicely laid out with trees scattered in an organixed fashion, and romantic gardens, all edged by wrought iron railings. Of course, the best time to see is is in July, August and maybe September. In his attempt to make the gardens as distinctive as possible, The Tomb of the Unknown Soldier is inside. Free admission. On a clear day stop on top of this walkway to overlook the marvelous skyline of Moscow, and stretching far below is the Moskva River's right bank. It is a wonderful scene you won't forget, bring your camera, your friends will be amazed! terrace with a panoramic view to the northeast. 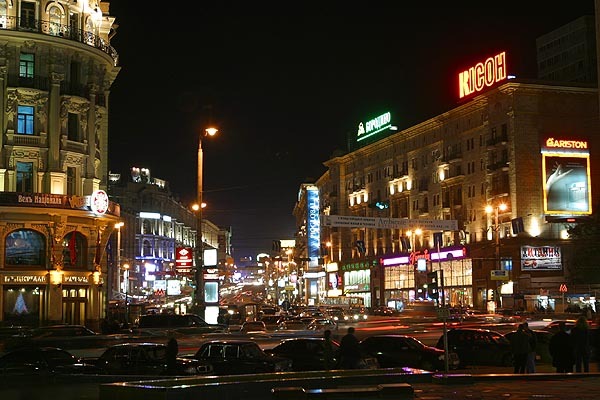 By and large a thriving commercial area, Kitai-Gorod incorporates the broad area lying to the east of Red Square. At one time it was the place of residence of choice for many of Moscow's most powerful citizens, but they gradually shifted elsewhere and Kitai-Gorod came to be dominated by banks, shops and commercial outfits. That said, the area still demonstrates its historical legacy in its liberal scattering of churches and old palace buildings, the most notable examples of which include the Church of the Trinity and the Chambers in Zariade, the former home of Romanov Boyars. 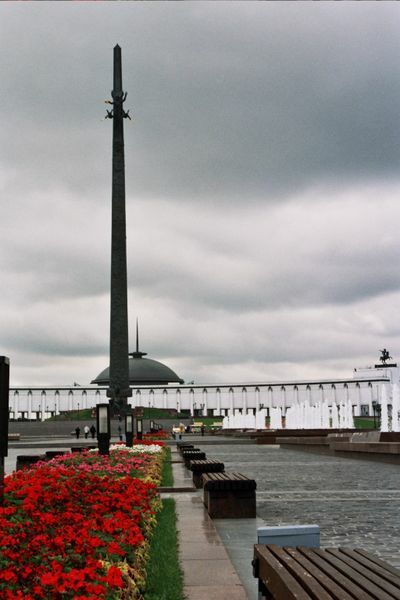 Under the Manezh Square is Okhoktny Ryad, with more modest, yet high fashions such as Guess, Benetton, Nike, Lacoste and Reebok. 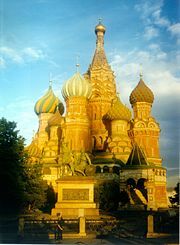 The visit is worth it just to see the garrish center piece, a stained glass fountain depicting Russia under a huge ornate dome. 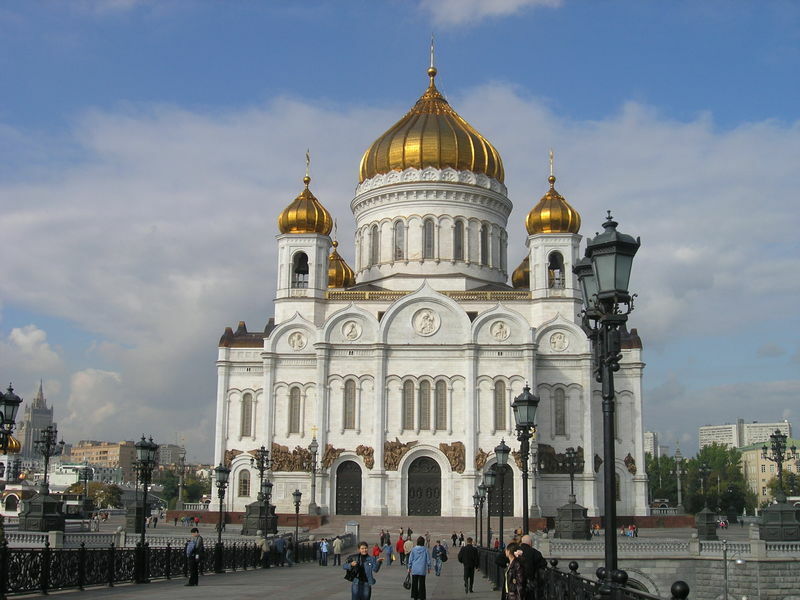 Costing $348 million, Yuri Luzhkov, Moscow's mayor built it to emphasize the new Russian consumerism, similar to his other brainchild, the Christ the Saviour Cathedral which shows Russia's strong beliefs in Christianity. North from Red Square is Tverskaya Ulitsa, Moscow's most famous shopping street with several expensive stores and boutiques. Even on Sundays, and through lunches, all these places remain open. or Dymkovskaya Igrushka pottery figurines stemming from popular cultural folklore. Gzhel porcelain, Vologda lace, engraved amber, Fabergé eggs and other jewelry are highly popular. From the Red Army, momentos are everywhere. You will find a good craft market at Izmailovskii Park on weekends with bartering being the order of the day, stretching your roubles. Remember that some antiques, or even works of art and original manuscripts may not legally be taken out of Russia without a licence to export. Cheremushinsky Rynok along Lomonovksy Prospekt brings you fresh produce from all over the former Soviet. It is open Monday to Saturday from 7am to 7pm and Sunday from 7am to 5pm. It is not so salitary, but good deals are everywhere. Gorbushkin Dvor Market Here you get what the average person is looking for, cheap CDs, digital cameras, cell phones, everything! Open daily from 10am to 9pm. 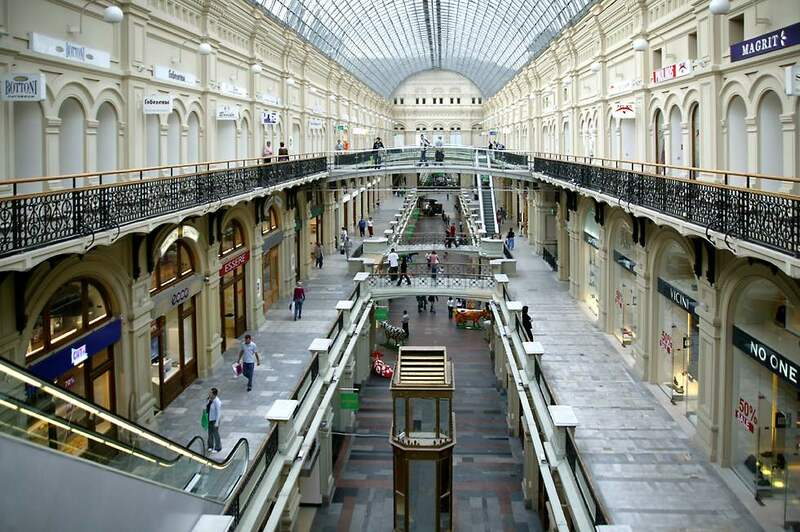 In Moscow, shopping hours are normally Monday to Saturday from 9am to 6pm, though some of the bigger stores open daily from 10am to 8pm. Many smaller shops still take their traditional lunch (pereriv) from 1 to 3pm. Their value added tax is high, 18%, with certain food and children's items at 10%. 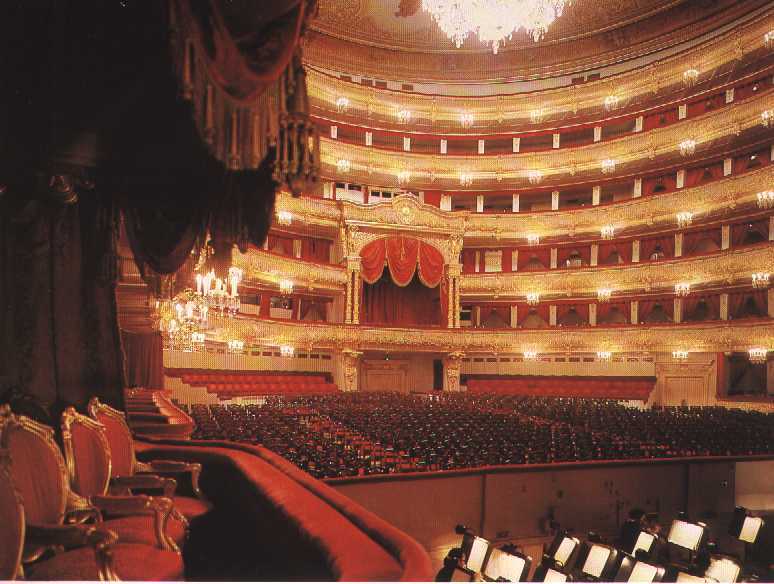 Russia's great heritage of classical music is reflected in the quality of its orchestras and orchestral venues. The Bol'shoi Theatre is a world-renowned institution and the jewel in the crown of Moscow's cultural nightlife. The auditorium and performances are immaculate and in terms of grandeur, the Bol'shoi surpasses anything else in Russia. It is therefore a popular venue - especially among visiting tourists - and tickets may be difficult to snap up at short notice. Other major venues include the Dvorets S"ezdov (Palace of Congresses), a Soviet-style building within the walls of the Kremlin which hosts performances of the great Russian ballets. 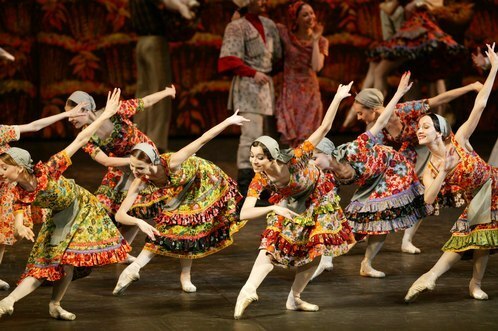 Both the Stanislavskii and Nemirovich-Danchenko Musical Theatre and the Helikon Opera run a variety of Russian and foreign classics, with the latter being more innovative in approach. 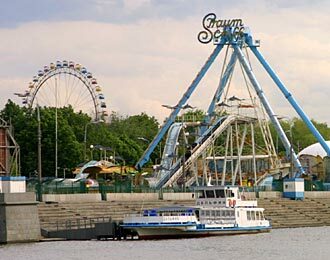 From its world-famous zoo, to some decent parks and seriously impressive cinema complexes, there's no shortage of places to have fun in Russia's thriving capital. If that sounds too mundane, then why not join in the latest fad and do your best Schumacher impression on one of Moscow's many go-karting tracks? For those desperate to throw around some serious roubles, you've come to the right town. 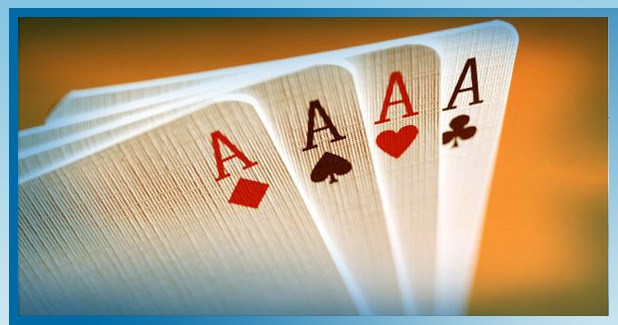 There are countless casinos and strip clubs just waiting for you to walk through their doors! Moscow is a must for the dedicated party-goer, with a whole range of places to enjoy, from laid-back lounges to trippin' techno dancehalls, and major vodka-drinking, waterpipe-smoking and girl-gazing shenanigans in between. Forget your preconceptions about miserable old Communist block tristesse, and get ready to let your hair down big time. Moscow is big, bad and it's back! There is far more than just clown acts though, as he has organized all sorts of acts, from acrobatics, and caberets, to dance and animal performances making it one of the world's best circuses. giant ice rink! Admission rates are US$1. The need for speed!!! Yes, this and various other classic quotes from Top Gun will be the order of day if you choose to sign up for a 'MiGs over Moscow' experience with the people at Incredible Adventures. 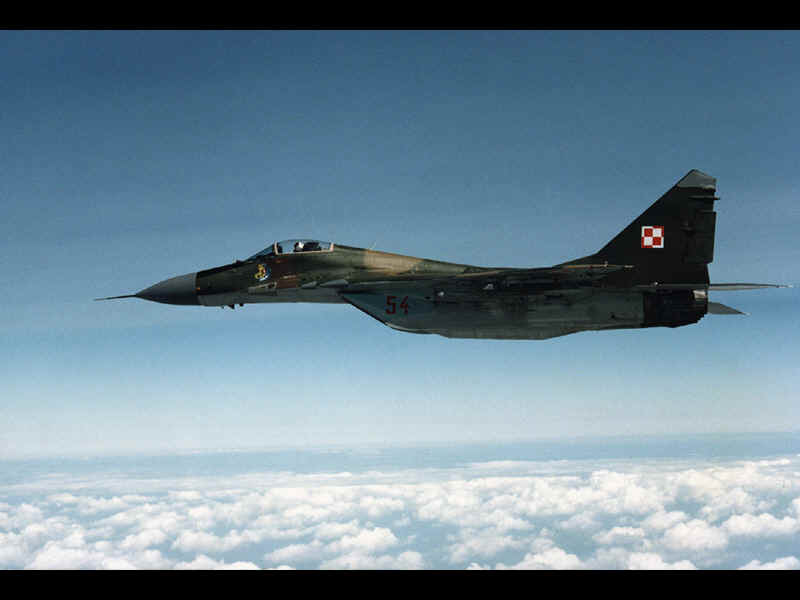 You will be driven to the classified ("I could tell you, but then I'd have to kill you") Zhukovsky Air Base, where, guided by one of Russia's top test pilots, you will actually take off in a MiG 29, with afterburners blazing, into the wild blue yonder! Once airborne, the skies will be your playground, as you climb to the edge of space, nosedive into a tailslide, or travel at more than twice the speed of sound! When you eventually touch back down they'll be just enough time to make it up with Iceman and shag Kelly McGillis before the credits roll. Simply unreal. There are lots of horror stories about Russia being unsafe and rife with crime, but the most common is pickpocketing. Violent crime is rare. If you don't take stupid risks, dark alleys at night, etc. you should be fine. Be careful of crowds, and gypsy children cozying up to you. Keep your eyes open for pickpockets slashing your bag, unbenounced to you, with a razor. Western foreigners are considered wealthy and if you speak English loudly in public places, especially tourist areas in Moscow and St Petersburg, you will be a potential target for pickpockets. Try not to let them know you're foreign. Not standing out as a foreigner can involves dressing in the Russian way (this is particularly easy in the winter when everyone is in long coats, hats etc}. Keeping your camera in a plastic bag rather than carrying it openly. Russians do not tend to smile at strangers. If you smile at people, they often think this is odd, that you are laughing at them, or quite simply that you are mad. As anywhere, try not to walk home on your own late at night. Courtyards and staircases can be badly lit, so even if nothing actually happens it can be a frightening experience. Only flag down an unofficial taxi if you're with someone, and preferably only if at least one of you is male. Always agree on a price before you get into the car. If you're out late at night, make sure someone knows where you are if at all possible. Carry large amounts of cash in a money belt worn under clothes. You'll feel safer too. Carry your money in different places, not all in one purse or wallet. It is debateable if you should leave your passport in your hotel room and carry a photocopy, or carry the real thing. People have been forced to stay an additional six weeks after losing the original. Paying a fine for the photocopy may be easier. Beware of fellow thieves in youth hostels, and trust no one. Despite all of this, there is no need to fret much if you act intelligently. 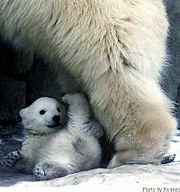 Be aware of what's happening around you, and do not draw unnecessary attention to yourself. If you are new to travelling, or even if you have travelled the globe for years, I strongly recommend you check out the following link for some very interesting and informative reading about safe travelling in Hanoi, and the Third World in general. It is an accumulation of original thoughts and experiences of several worldly travellers, just go to Safely.travel. It was written with the Third World in mind, where travelling disasters are around every corner, and a pre-emptor to what we may all expect someday in the First World as populations increase and desperate people become more brave and sophisticated in their survival techniques. It will make you aware of all sorts of scams, how to check into a hotel, advice for single lady travellers, advice for single men travellers, rip tides, credit card scams, driving in a foreign land, kidnapping, street people, you name it. It is an essential read for anyone travelling, and the most comprehensive discussion I know of!